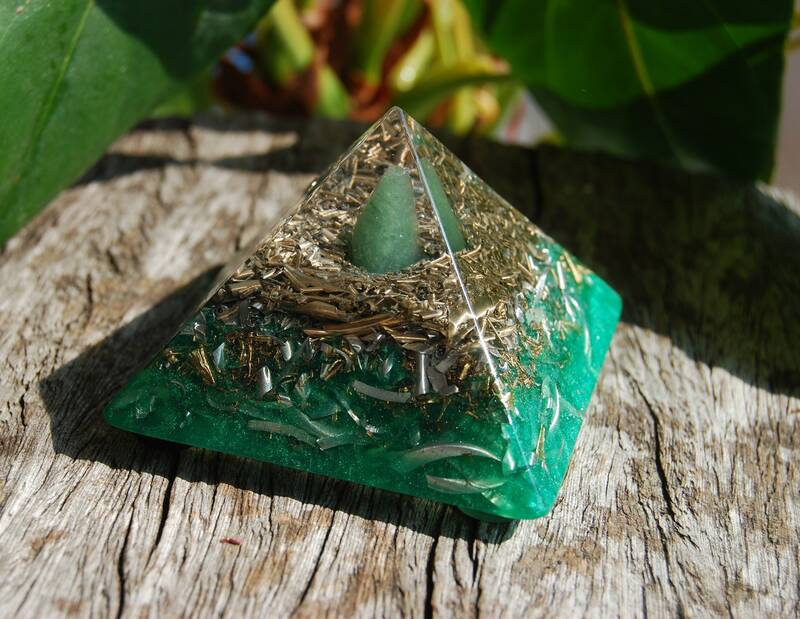 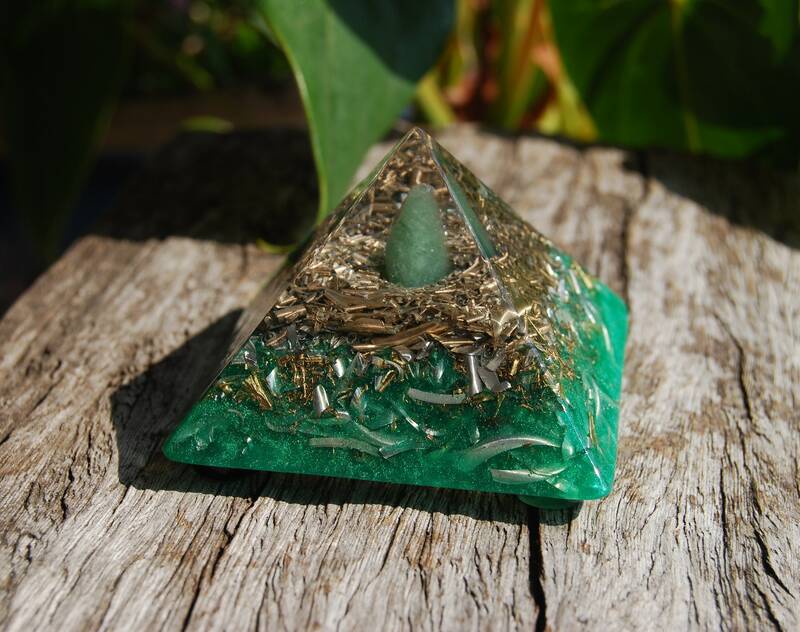 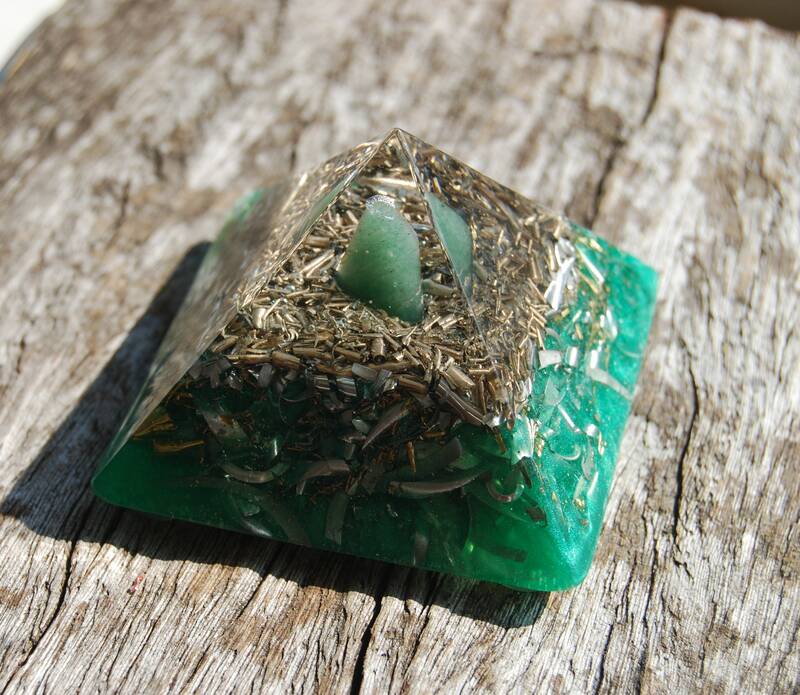 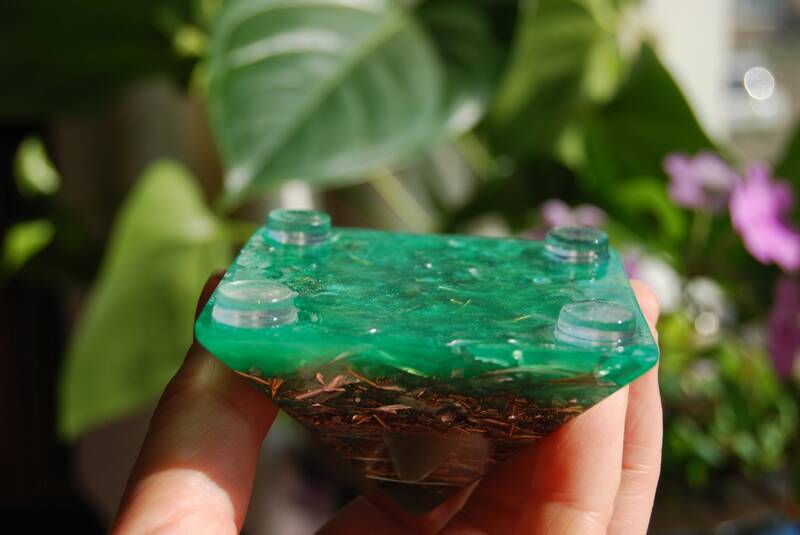 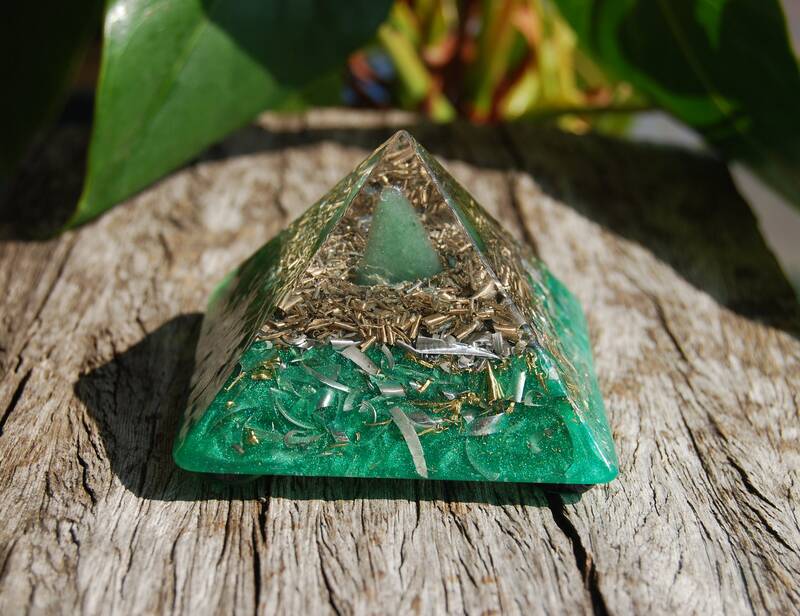 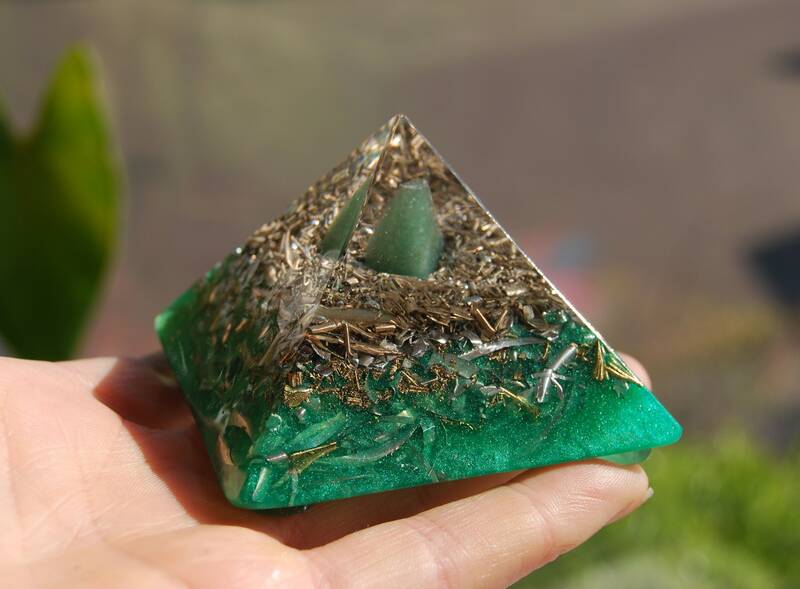 Aventurine Giza Orgonite® Pyramid - Free Shipping ! 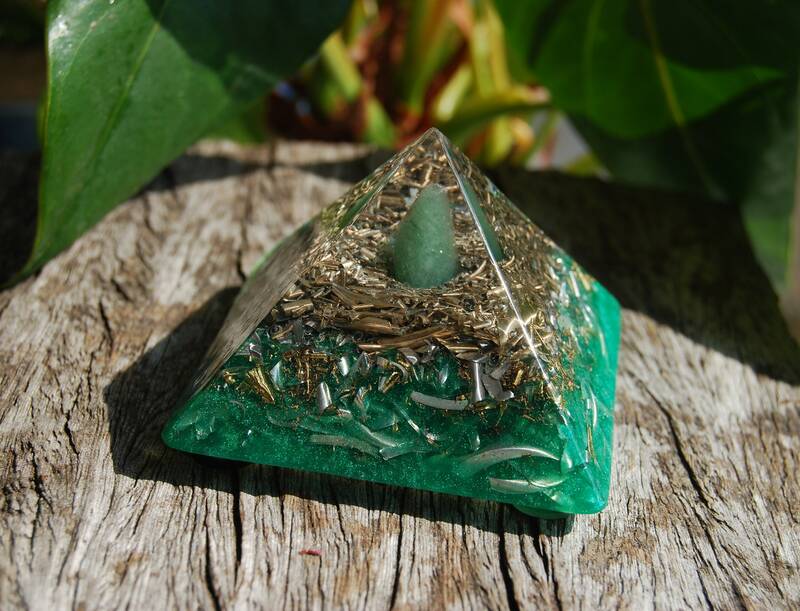 This is a unique Orgonite® pyramid with the original shape of the actual Giza pyramid in Egypt. 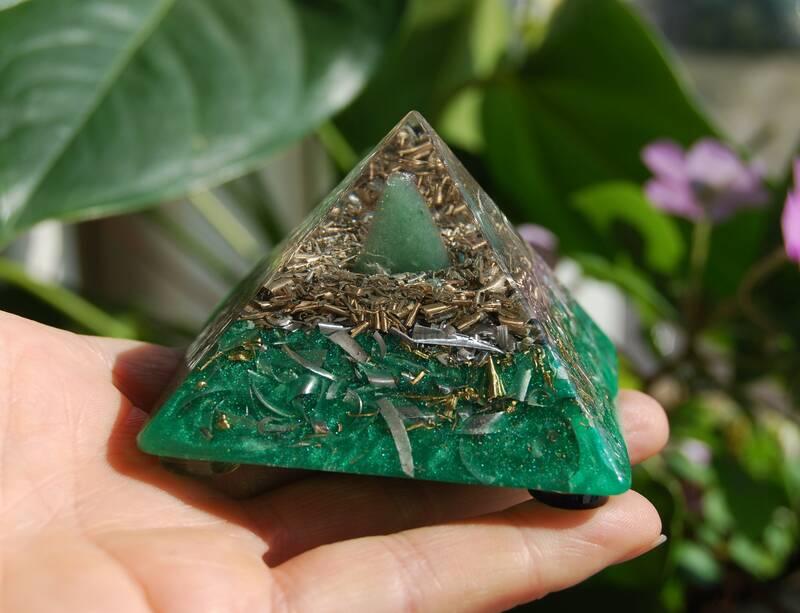 It has an aventurine stone in the top. 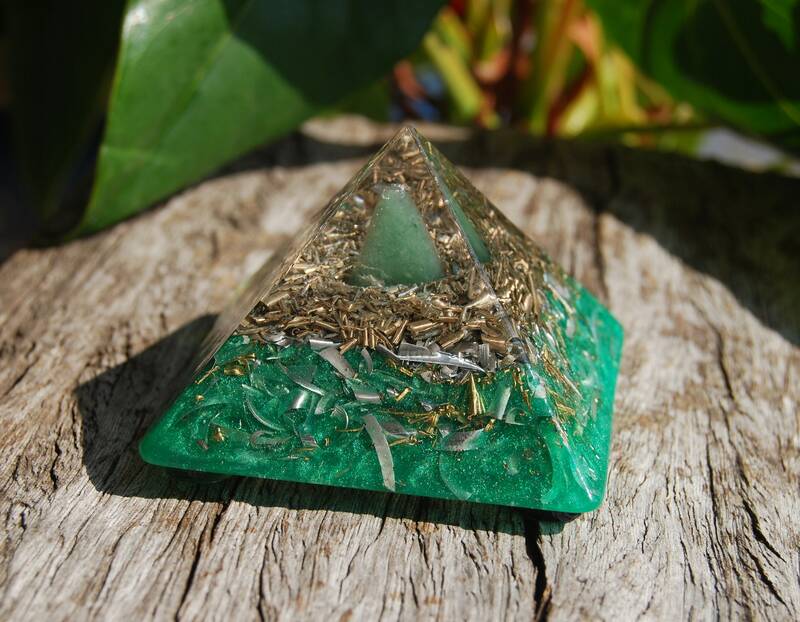 Within the metal layers there are four terminated quartz crystals pointing in four directions for extended energy flow in all four directions and for piezo electric effect.